Carefully and with love the thoughtful interior makes the guest house very individual and not like any other. The restaurant offers a wonderful selection of dishes, desserts, drinks. You can order any dishes right in the room. Modern, well-equipped three-star hotel with a high level of service. 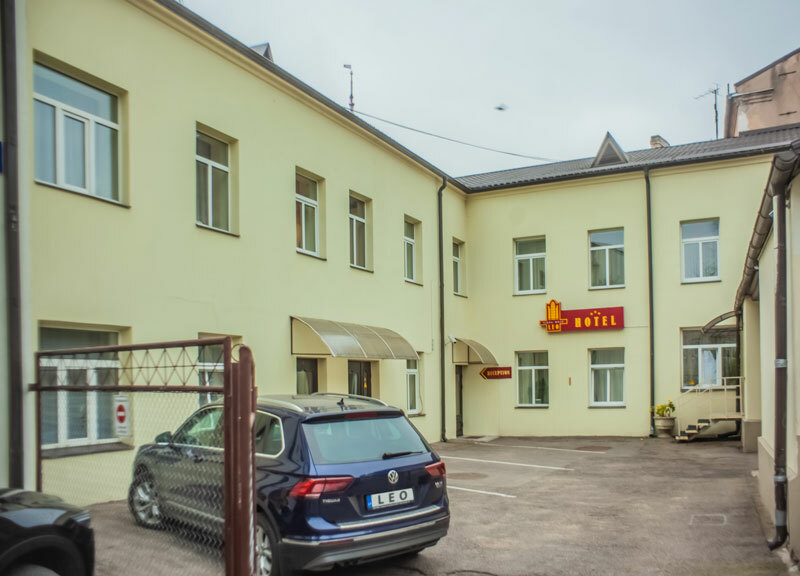 Cosy and comfortable guest house, located in a 19th century building, that is placed in the centre of the town and three minutes of walking from the railway or bus station. Actually Leo is named guest house just beacause of small guest room amount, there are 7 of them. 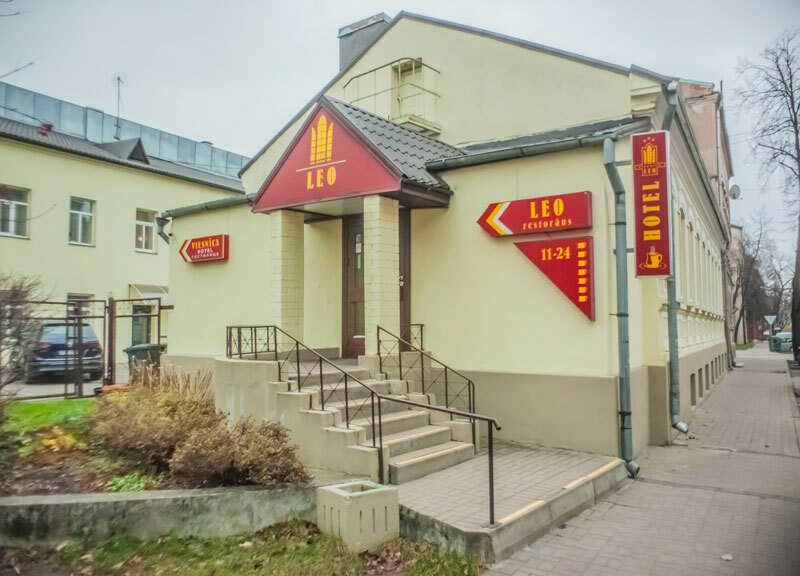 Relating to all other aspects Leo is modern and perfectly equiped hotel with high-level обслуживания. Moreover, it's smallness is merit, rather than imperfection. Exactly this bacame a reason for atmosphere of wonderful and almost domestic cosiness which persists in whole of the hotels room. This atmosphere of cosiness is supported by interior which is thoroughly elaborated with love and has consists of light and peacefull tones of Danish furniture made of propper wood, well-thought illumination, exclusive pictures of Daugavpils made from the bird flight height. Additionally there is unusual decoration of some of the walls which makes rough surface soft play of illimination and shadow, and a small part of the wall of the abstract form which shows ancient blocking of the 19th century. All of the above makes the guest house a very individual, not like others hotel. 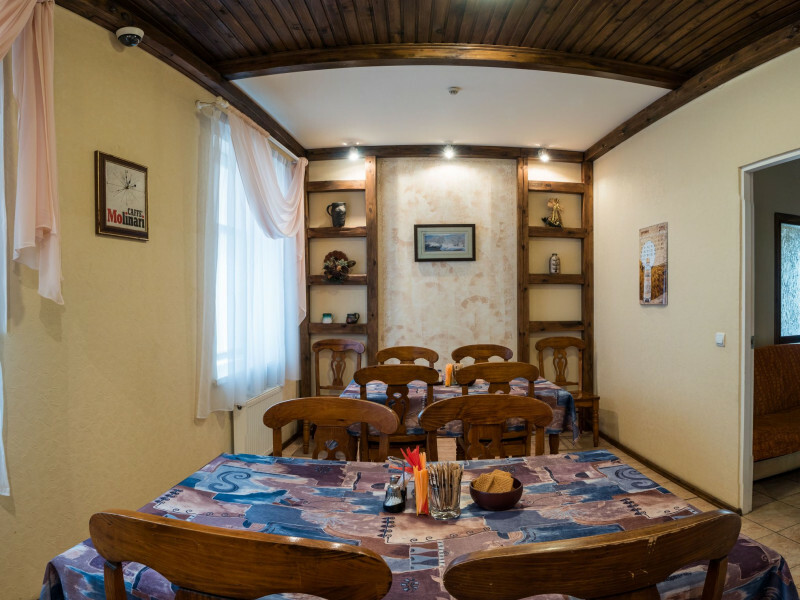 There are also cosy hall and dining room located on the first floor, where guests can try delicious and satisfying breakfast which is included in accomodation price. Also there is a an equiped and guarded parking in the patio. Lao restaurant always suggests tasty lunch and pleasant rest time in the evening with live music. It is possible to order any of the dishes directly to the guests room. Daugavpils is a city with a rich history and traditions. Daugavpils is the largest city in Latgale, the second largest and most economically developed one in Latvia, and one of the first cities of the Euroregion being created. Visitors of the city always note a special tenderness and kindness of Daugavpils’ residents. We are by right proud of Daugavpils’ residents, who glorified the name of the city in sport, culture, science, and business. Our pride is both a many-sided culture and a multinational structure of the population. All this gives special sounding and originality to Daugavpils. 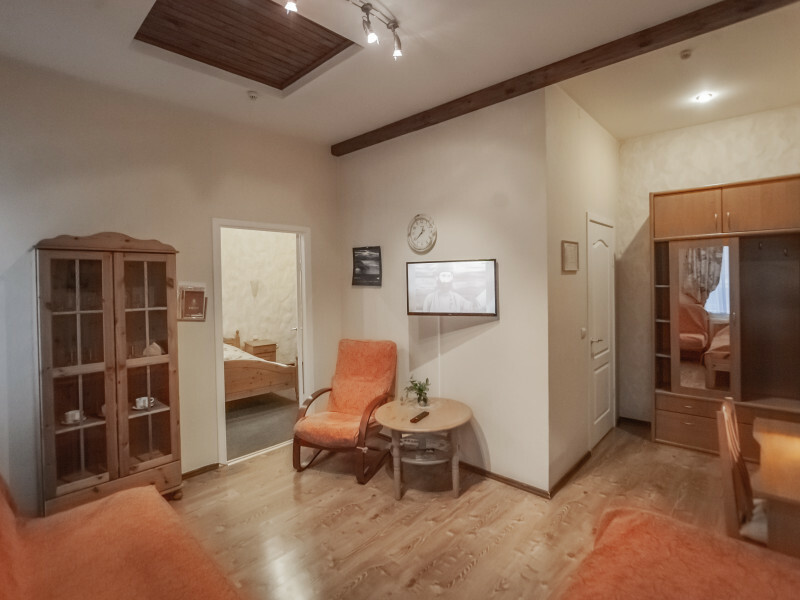 Daugavpils is a city that is growing and developing and is becoming every day more and more well-groomed and modern. Daugavpils takes its certain place in the state and is ready to take a worthy position at the international level. There are four single rooms in the hotel. There are shower, lavatory, refrigerator, TV-set, double bed in the room. 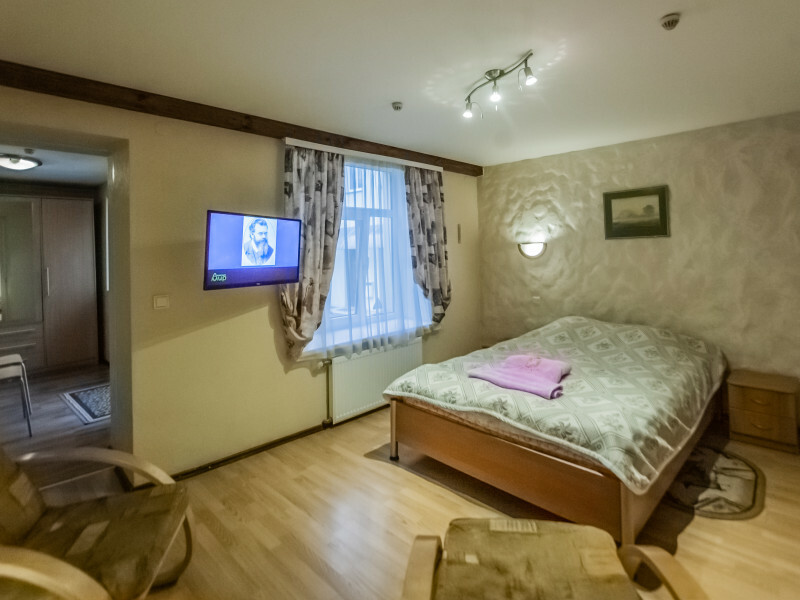 Two of the four rooms are located on the first floor of the hotel. 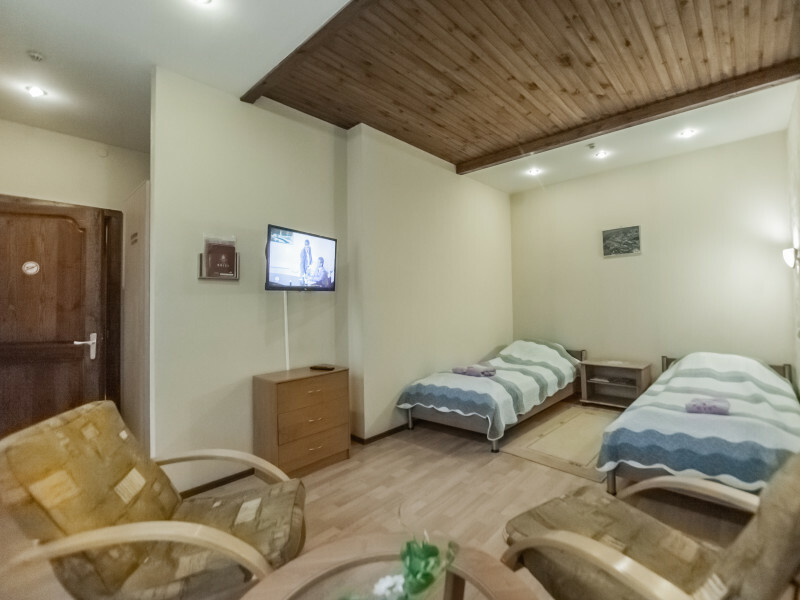 Triple room, consists of two rooms. It is cosy as for family with children, as for guests, who prefer spaciousness and comfort. There are shower, lavatory, refrigerator, TV-set, fridge, double bed and two single beds in the room. Discounts for rent more than one hour.